Whether you're setting out on a quick jaunt or a long and lingering journey, you should know the basics about La Chaux-de-Fonds before setting off. 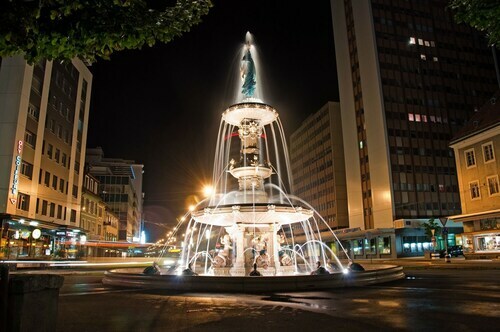 From this destination, the national capital, Bern, is 30 miles (48 kilometers) to the east. Some interesting areas nearby include Le Locle, which is 6 miles (10 kilometers) to the southwest. With plenty of things to see and do in this part of Canton of Neuchatel, it's easy to understand why 37,000 locals choose to call it home. If you're arranging a vacation in La Chaux-de-Fonds, you'll want to listen up! It's possible to save loads of money with a Travelocity flight and accommodation package deal. Just select from upwards of 400 airlines and 665,000 places to stay. Way too many choices? We'll make it simple! From accommodations and flights to experiences and car rentals, you've got the added security of 24/7 personal assistance via our Customer 1st Guarantee. If you happen to come across a cheaper deal on another website, we will return the difference^. With no hidden fees or charges from us, you needn't worry about changing your plans. And so long as you get in quick, most accommodations won't charge a fee either^. Be the early bird that catches the worm when it comes to organizing your accommodations in La Chaux-de-Fonds. With 5 places to stay, your options are limited. Start checking them out and snap up a cozy room today! When you have a vacation to organize, who wants to waste time searching for a place to stay? Don't stress, we've done the hard work for you already. The Grand Hôtel Les Endroits and Athmos Hotel are a few of our top properties in the area. Where do you fly into for La Chaux-de-Fonds? Get ready for some unforgettable experiences! The heart of La Chaux-de-Fonds is approximately 45 miles (72 kilometers) southwest of EuroAirport (BSL). 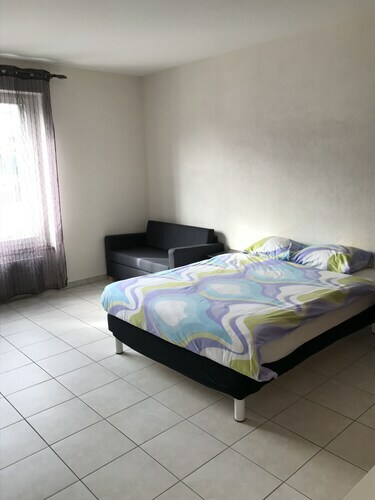 Can I rent a car in La Chaux-de-Fonds? Getting off the beaten track is always an awesome way to discover new places. So, why don't you do it from the driver's seat? Organize a car rental via Travelocity and get set to crank up the music in La Chaux-de-Fonds. Stroll out of the terminal and jump behind the wheel shortly after touching down at Les Eplatures Airport. Europcar is at C/O Centre Commercial Des Eplatures. If you choose them, it'll make traveling the 3 miles (5 kilometers) into town a breeze. If you've got an inquisitive mind, check out International Museum of Horology. You never know what you'll find there! Like some more ideas? Are you simply wild about animals? You can grunt, squeak and squawk to some of the most exciting of them at Bois du Petit-Chateau Zoo. It's a fun day out for everyone! And that's not all there is. It's not easy to imagine how people once coped at home without all the modernized equipment we rely on today. Step through the entrance of La Maison Blanche and discover how they did. Visit La Chaux-de-Fonds for its distinct character and feel. That said, there are also esteemed attractions right under your nose! Travelers from all corners of the globe head to Bundeshaus. You can reach it easily from Frauenkappelen, 25 miles (40 kilometers) away. Situated in La Chaux-de-Fonds, this hotel is within a 10-minute walk of International Museum of Horology and Bois du Petit-Chateau Zoo. La Maison Blanche is 0.8 mi (1.3 km) away. Le Chaux-de-Fonds Station is only a 5-minute walk. Situated in La Chaux-de-Fonds, this luxury hotel is within 2 mi (3 km) of La Maison Blanche, Bois du Petit-Chateau Zoo, and International Museum of Horology. Musee des Beaux-Art and Monts Castle are also within 6 mi (10 km). Le Chaux-de-Fonds Station is 28 minutes by foot. Located in the heart of La Chaux-de-Fonds, this hotel is within 1 mi (2 km) of International Museum of Horology and La Maison Blanche. Watch Museum and Theatre du Passage are also within 16 mi (25 km). Le Chaux-de-Fonds Station is 12 minutes by foot. Located in the heart of La Chaux-de-Fonds, this hotel is within a 15-minute walk of International Museum of Horology and Bois du Petit-Chateau Zoo. La Maison Blanche is 0.9 mi (1.4 km) away. Le Chaux-de-Fonds Station is 9 minutes by foot. Situated in the mountains, this bed & breakfast is within 2 mi (3 km) of La Maison Blanche, Bois du Petit-Chateau Zoo, and International Museum of Horology. Vue des Alpes Pass and Musee des Beaux-Art are also within 6 mi (10 km). Le Chaux-de-Fonds Station is 30 minutes by foot. 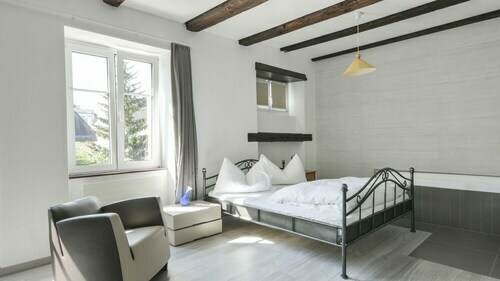 This family-friendly La Chaux-de-Fonds bed & breakfast is located in the mountains, within 2 mi (3 km) of La Maison Blanche, Bois du Petit-Chateau Zoo, and International Museum of Horology. Vue des Alpes Pass and Musee des Beaux-Art are also within 6 mi (10 km). Le Chaux-de-Fonds Station is 30 minutes by foot. 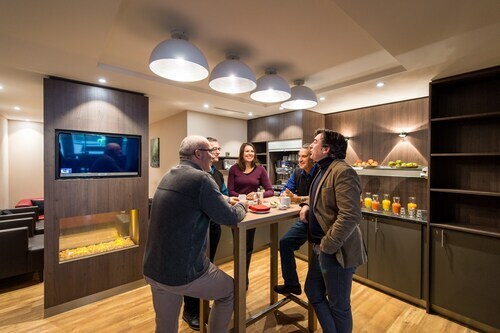 Located in the heart of La Chaux-de-Fonds, this apartment building is within a 15-minute walk of International Museum of Horology and Bois du Petit-Chateau Zoo. 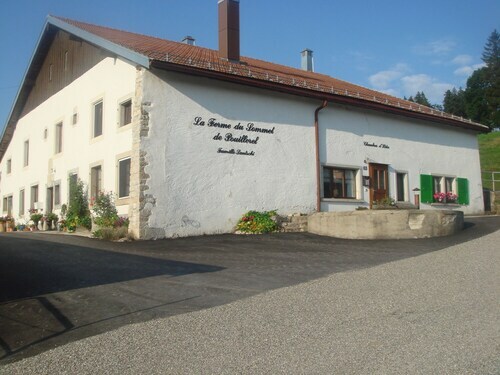 La Maison Blanche and Neuchatel Botanical Garden are also within 16 mi (25 km). Le Chaux-de-Fonds Station is 9 minutes by foot. 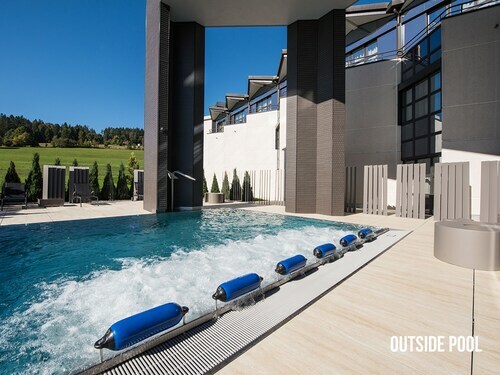 Located in the heart of Biel, this hotel is within 1 mi (2 km) of Lake Bienne and Lake Biel. Museum Schwab and Swiss Reformed City Church are also within 1 mi (2 km). Biel/Bienne Station is 6 minutes by foot.